Exercise Your Way To A Younger Looking You! Drop A Few Pounds-Tips To Try Today-Simple!! Go, go, go! If you are anything like me you want to be healthy and take care of your family but with a busy lifestyle it is hard to get things down exactly right . When it comes to health and nutrition doing exactly the perfect thing may seem nearly impossible. I know there are some of you out there (you know who you are) who are just about perfect at following all the rules of health and fitness- but for those of you that live on the run and want to get the health and fitness thing down, here are some terrific tips and shortcuts on living healthy. **The Best Thing-Eat five to nine servings of fresh fruits and vegetables daily-Of course this would be wonderful if every single day you could sit and munch on fresh fruits and vegetables and your body would get a plethora of nutrients, however some days that is just not going to happen. Shortcut-Take a whole food supplement (I take the Pops religiously everyday and love how I feel), which are basically fruits and veggies in a powder form without the sugar, fiber and water and put into a capsule (at least the Pops are), Try vitamin rich dried fruits, or frozen vegetables. **The Best Thing-Get at least seven hours of sleep at night-I hate to admit this because I know how important sleep is but I rarely get seven hours of sleep at night. As a matter of fact I should probably go to bed now, but then I am sure I would just lie there and think of writing this post so-oh well. "A 2007 study at the University of Warwick, in England, found that women who slept less than five hours a night were twice as likely to suffer from hypertension as women who got seven hours of sleep. Previous studies have linked lack of sleep to weight gain, and a weakened immune system." Shortcut-Take a nap. Even 20 minutes of sleep can help revive you. I hate to be negative here but who really has time for a nap? If you can find the time then do it! You will feel better. **The Best Thing-Wash your hands with soap and water every time you touch a germy surface-Now don't panic and become obsessive about this but every time you touch a door handle, grocery buggy, shake hands, etc there are germs. Each time you touch your face you can pass germs into your eyes, nose, or mouth and possibly catch a cold, the flu or gastrointestinal illness. Years ago I saw an Oprah on movie theater seats and all the germs there and everywhere else. It was awful because for weeks everywhere I went that was all I thought about-germs, germs, germs. Those shows always scare me (which is why I no longer watch stuff like true crime, forensic files, you know the type that scare you to death as you try to get to bed in the dark). Shortcut-Carry hand sanitizer or baby wipes with you and apply to hands after germy surfaces are touched. With my two kids this is a must. You should see all the things they touch, put in their mouth. I don't know how we are all still alive and kicking some days. **The Best Thing-Lift weights at least twice a week-My online personal trainer and New York fitness professional, Christopher Warden, is a big advocate of all the wonderful things that strength training can do for you (I have to agree as I have never felt or looked better since I started strength training,especially with weights). "Working with weights strengthens bone mass, and helps burn calories more efficiently." Plus it is wonderful to feel stronger and look more toned. Shortcut-Use the weight of your own body as resistance to strengthen muscles. Before I started using weights, Christopher had me doing squats, push ups, lunges and other such exercises and I could really feel the impact of those even without the weights. **The Best Thing-Brush your teeth after every meal and floss once a day-Would be perfect if you could but honestly who always can? Shortcut-Chew sugarless gum after you eat which can wash away food particles and keep bacteria at bay. **The Best Thing-Eat fish twice a Week-Being a vegetarian I am not really an advocate of this but the benefits of fish are that they are packed with DHA and Omega 3 Fatty Acids , which can boost the immune system and reduce the risk of heart disease. Shortcut-Try adding flax seed to your diet. You can add flax seeds to a salad, grinding them up or throwing them in your oatmeal. There is also flax seed oil and I personally take a teaspoon of flax seed oil every day (can be found in most health food stores) as it is just easier for me. I hope these shortcuts can help you out on those days when you just can't seem to get the health and fitness thing down just right. 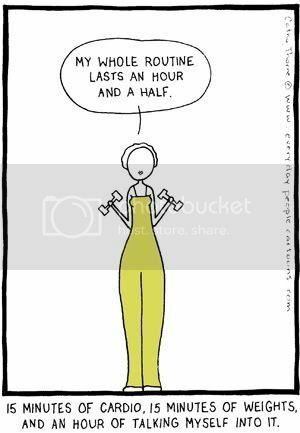 Are you looking for a little motivation to exercise? As much as I enjoy going to the gym and doing my strength training, there are days that I would just rather do anything else but a little exercise. So, when I discovered that by even moderately exercising I can look younger well, that was all that I needed to keep me going. There really are so many benefits to exercising but I must say that this has to be one of the best! According to an article that I read in the mirror.co.uk we can actually slow aging and look younger. The study looked at twins and found that there was a 9 year difference between those that exercised regularly and those that did not. "It said: "Our results show that adults who do regular physical activity are biologically younger than sedentary individuals. "Researchers at King's College, London, and at a leading US institute in Baltimore studied aging in 2,400 sets of twins by analysing telomeres. Telomeres, which cap the end of chromosomes in cells, shorten with age leaving people susceptible to cell damage which can cause disease, muscles to weaken, skin wrinkles, eyesight and hearing fade, organs fail, and thinking clouds." I wish there really was a food that you could eat and an instantly flat belly would appear. Since there is no such thing here are some healthy food choices that may help speed up the process. **Avocados-When scientists did a study and fed people diets with either carbohydrates or monounsaturated fatty acids (nuts, olives and avocados), they discovered that those on the carbohydrate diet were more likely to have an accumulation of abdominal body fat while the monounsaturated fatty acids group decreased abdominal body fat, even without exercise. Foods like nuts, Avocados and olives that are filled with monounsaturated fatty acids actually decrease belly fat! I love avocados on a sandwich, in salsa and salad. I don't know about you but I am picking up some avocados at the store this week. Yogurt- According to a study by Danish researchers, volunteers were fed four different meals, they found that the group eating the medium- high calcium meals had "17-19 percent lower levels of fat in their blood than those taking calcium supplements or eating low-calcium meals. Previous research from the University of Tennessee, Knoxville, found that obese adults who ate a high-dairy diet (1200 to 1300 mg calcium/day lost 60 percent more weight and nearly three times as much belly fat as dieters eating the same number of calories with less calcium." I think string cheese, cottage cheese and skim milk are also great choices. I would like to add that if possible go organic on the dairy and eat the plain yogurt topped with berries so you are cutting down on your sugar intake. **Nuts-I love nuts and find them to be a great way to feel full, get my fatty acids, fiber, protein and they are a great snack to take with you! All of these seem to help control appetite and promote weight loss, especially in the abdominal area. **Veggies-Vegetables are packed full of fiber and fiber is great for belly flattening because it fills you up with less calories. "It also helps keep the flow of sugar into your bloodstream slow and steady, so less insulin is released (insulin promotes the storage of body fat). Researchers have found that women who skimp on green and yellow veggies tend to have larger middles"
**Whole Grains-Switching from white bread and white pasta to whole grain varieties may help you fight fat. "A Pennsylvania State University study of 50 obese volunteers found that after 12 weeks, those who ate whole grains lost more belly fat and lowered their C-reactive protein (a sign of inflammation linked to heart disease) by 38 percent." Keep in mind that you are still going to have sugar in the whole grain variety which can still raise your insulin levels and signal your body to store fat so moderation is key on this one. Need I even say the next one? **Water-of course, of course, of course! A team of German researchers estimated that by consuming six cups of water daily it is possible to raise a resting metabolism by about 50 calories a day (that is enough to lose 5 lbs a year). Water is also great for making you feel full. By adding exercise to this list of healthy and delicious foods you can be well on your way to a flat tummy in no time. I do really wish I could find a list that would say something like, have some chocolate for a flat stomach or cookies will thin you out in no time. Oh well, these are terrific foods for a terrific you and the chocolate and cookies can be had in moderation too! P.S. My blog is in the spotlight at Healthy Moms. Click on the icon on the top right or here to check out my interview and visit their fun site! Click here . If you read my blog even occasionally you will probably notice that I love lists. All kinds of lists! I am a sucker for any list of health stuff that can tell you how to improve yourself or what to avoid. I write lists on foods to speed up your metabolism, foods to help you sleep, foods for energy, you get the picture. Tonight I was going to write a post with a list of ways to get a flat stomach (don't worry, I will never give up the lists-it must be my thing). But then a sudden urge came over me to just write a ramble. A day in the life of me, health nut wannabee mom eating really bad. Of course as I sat and ate a package of Mamba taffy and sipped on my Diet Pepsi (I gave them up but today, well I gave in to the temptation) I thought of a million excuses for devouring the iced sugar cookies that my daughters made, the chocolate bar that melted in my mouth like heaven, the mambas which made me dizzy with disgust, and the diet soda that was probably killing me. Perhaps I had PMS (Barry and Paul if you are reading this I know you will understand since you seem to have the PMS problems too-kidding), maybe being inside with the girls all day with all these sweets (I have a sweet tooth) was too tempting, maybe an alien invaded my body and made me do it (this is the most probable I think) or maybe I just wanted a day to be free and slowly kill myself with sugar, artificial sweeteners and more sugar. I really can't say but once it was all said and done I sat feeling miserable, my stomach hurt, my head hurt and I felt like a fraud. HA! Look at Health Nut Wannabee Mom now- surrounded by cookie crumbs and candy wrappers. After I got over the feeling sorry for myself for giving in, I decided that I am only human and once in awhile I am going to have these days ( I am convinced it was the aliens invading my body) and while not good, it is okay. Truly, I have not eaten like that in probably 2 months. I live on fruits, vegetables, nuts, low fat organic dairy, water, tea and most things healthy. The great thing is that since changing my diet for the better, I generally don't crave sugary sweets like I used to so today was just well, one of those days that we all have. I guess my point is (if I have one-this really is a ramble)that nobody is perfect regardless of how much we try or learn and it is okay to fall down as long as we get back up. The ironic thing is that after I washed down my last sugar cookie I craved fruit so that is something at least. I promise not to ramble anymore and tomorrow I will be back with my lists!!! I am not sure why I love those lists but they work and tomorrow I will tell you how to get a flat stomach. If you made it this far in my post you have my most heartfelt appreciation for reading this ramble! Once in awhile something really fun happens and today is one of those times! I received an award and I am so excited! I don't think that I have received any awards since the everyone gets one of these because your on the team trophies a hundred years ago (feels like that long). I am so fortunate in that two bloggers whose blogs I enjoy immensely have honored me with the Arte Y Pico Award. I would like to say a very heartfelt thank you to Polly at Random Ramblings, which is a fun and enjoyable blog with incredible pictures of nature (the squirrel taking a bath video is one of my favorites) and is always reliable for excellent content in a relaxing conversational tone and Jeannine at Lapidary Queen Wannabees, who is an amazingly artistic and creative blogger who designs the most unique and beautiful jewelry . I would like to thank both of you for thinking of me!!! The "Arte y Pico" award was created and to be given to bloggers who inspire others with their creative energy and their talents, whether it be writing, artwork in all media's. When you receive this award it is considered a "special honour". Once you have received this award, you are to pass it on to at least 5 others." 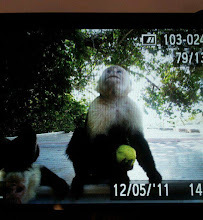 **My Life as it Was, Is, and Will Be-I always feel peaceful and learn so much spiritually after visiting Sarah's blog. She writes with a beautiful and full heart and you feel like you are sitting down with a friend. I call her Gandhi blogger. **EZGreatLife.com-I learn something new and beneficial almost every time I visit. John gives practical, well thought out advice on family, finance, fitness and more. Again, I feel like I am visiting a friend when I stop by his site. **Security for idiots and other people that care-A beautiful blog with positive energy that covers a variety of important subjects. David is probably one of the kindest, most spiritual bloggers you will find and his positive outlook on life inspires me every time that I visit. **Fitness Philosopher- Written by Christopher, a New York City fitness professional who can tell you just about anything about nutrition and fitness. I like his blog because his writing has a deep, somewhat spiritual tone to it all the while still covering the pertinent and necessary nutrition and fitness elements that will get and keep you in top shape. Bridget the author of this blog is one smart cookie and she is kind enough to share all the great and helpful tips she finds. Whether it be how to get all your emails together (I am still trying to do this) or talking about life, lust, etc. She is a woman to be admired with a terrific blog. Heather makes incredibly artistic jewelry and I really enjoy how you she tells you about the gemstones and a little more about where they come from. She has a friendly and relaxed voice that is truly enjoyable. 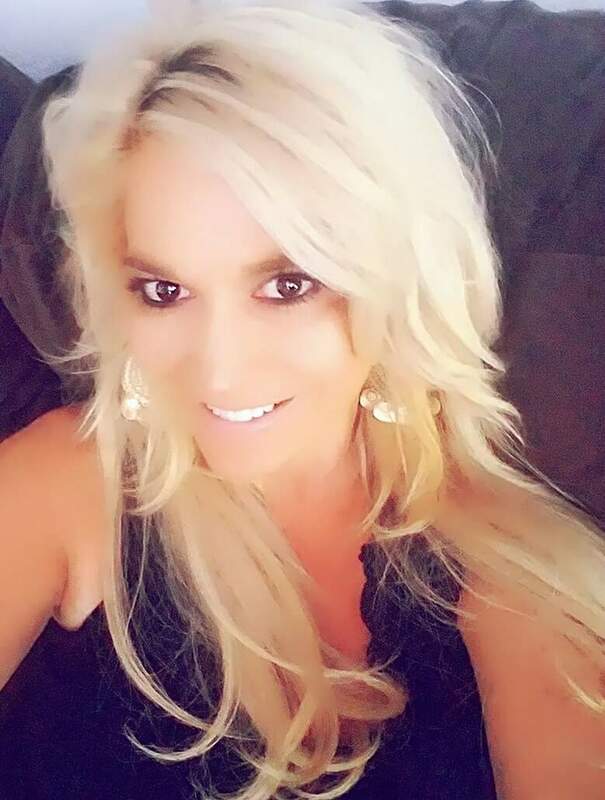 You should see her beautiful one of a kind jewelry! **Sogeshirts.com presents: Blog of masterful entertainment-Wh en I want a good laugh I go to visit Tim's blog! I never know what to expect but I am always laughing and happy after reading his latest post. He can make just about anything funny and comes up with some bizarre and hysterical stories!! He also has some pretty funny t-shirts to look at. There are several more blogs that deserve this award but these are the ones that I decided to honor today. I hope you will visit them and get as much pleasure out of them as I do (I know there are 7 and not 5 here like I was supposed to do but some rules are meant to be broken and it was just too hard to limit it today). Thanks for stopping by. I have Found A Treasure And Want To Share It With You! If you are a regular reader of my blog you know that when I find something that I love I just have to tell everyone. So, when I was fortunate enough to come across Random Musings About Art And Life blog by Janelle I was instantly smitten with her style of writing as well as her beautiful jewelry and homemade soaps. I tried four of her soaps (they are all made with natural ingredients and essential oils!) and loved the way each smelled and made my skin feel. It was hard to decide which was my favorite because each had its own unique and lovely fresh scent. Both of my daughters have eczema so I have to be very careful about what I put on their skin but both of them used Janelle's homemade soaps and had no problems. Her soaps leave you smelling fresh and your skin so, so, so soft. Another plus on her products are her prices ( I love a great deal). It is obvious that Janelle puts a lot of time and effort into all of her products and each item is unique in its artistic beauty and scent. Below I would like to share with you some of my favorite items as well as explain briefly the benefits of buying handmade soap. For starters, handmade soaps are great for your skin. There are so many fillers in mass produced soaps, that even though they may claim to produce soft skin, have moisturizing content, and even vitamins or other essentials, the truth of the matter is that they can also be full of detergents, chemicals and dyes. Handmade soaps on the other hand, are typically made from a natural glycerin base and have added ingredients such as olive oil, sunflower oil or coco butter, just to name a few. From there, they are scented and dyed from natural dehydrated ingredients that we may find in our own local market. Oranges, strawberries, poppy seeds, brown sugar, oatmeal, honey, mint, lemon, you name it and it may be in your soap, but it's all natural! " Keep in mind that whatever you put on your skin goes directly into your blood stream so you want to choose as natural products as possible when you can. **Lemongrass and Poppy Seed Soap-"This one would make a great hand soap for the Chef in the kitchen, or a wonderful shower bar after a day of gardening in the sun. Crisp and refreshing with a wonderful Lemongrass fragrance, and added Poppy Seeds for exfoliation. " It would look cute sitting in the kitchen too!! **Tall Grass . olive oil-"If you love the scent of fresh cut grass in the summer, then you'll love this soap! ♥ Made from a base of olive oil, this soap lathers wonderfully, helps moisturize your skin, and leaves you feeling happy and clean." I absolutely want this! I love the scent of fresh cut grass and it is just so refreshing! And you can get them in a large selection of fragrances such as Plumeria (loved this one when I tried it), Georgia Peach, French Vanilla and about 15 more scents. Since we are all Goddesses in one way or another I think we should all have one of these. **Orange Cluster . necklace-"Sweet silver toned cable chain, with a cluster of orange luster beads and an antiqued key charm... Lobster clasp for closure. " I think this is such a unique and fun piece of jewelry! **Filigree Medallions-earrings-"Lovely vintage inspired filigree medallions hanging from hypoallergenic, surgical steel kidney wires." I have to have these! I have never seen anything like them. I love earrings and refuse to go anywhere without them. Food cravings-we all have them but below is some great advice that I am recycling from my early blog days (sorry, but both kids have fevers so my original post will have to be here hopefully tomorrow) to help you conquer them. As I have mentioned before, I love food, love to eat and constantly crave chocolate, Diet Pepsi (of course), Mexican food, anything really fattening, sweet or starchy (notice no cravings for anything truly healthy-ironic isn't it!). Now on the other hand it is important for me to be healthy and maintain a weight that I am comfortable with and unfortunately what I crave is not necessarily what my body needs (why, why, why?). I have found some ways that we can help ourselves with those cravings and do some damage control for our bodies. I believe that moderation is the key to success to anything in life -so I say- don't deny yourself but why not try to minimize those unhealthy cravings so you feel better. **WHEN WE ARE STRESSED OUT, BORED OR UPSET-Bad moods frequently give rise to cravings: We imagine that if we eat a cookie or a chocolate bar, we'll feel better -- and often we do. Carbohydrates sweet or starchy foods -- increase the secretion of the brain chemical serotonin, which in turn can improve mood. **BEFORE YOUR PERIOD- Research shows that many of our cravings for chocolate and carbohydrate-rich foods are particularly intense in the days leading up to menstruation. Experts theorize that women may overeat carbs in an attempt to raise serotonin levels to counter the bad moods and mild depression related to PMS.Info found here. **EAT AT REGULAR INTERVALS DURING THE DAY-If you skip meals (ex. breakfast) or go too long without eating, your blood sugar levels will fall too low, which is a perfect recipe for food cravings, overeating and even binges. Allowing 3-4 hours between meals/snacks is a sensible maximum for women, although 3 hours is better. Men typically can safely wait 4-5 hours. And you don't need to eat much: even a single oat-cake can be enough between meals to keep eating urges at bay. As well as maintaining stable blood glucose levels, regular eating helps your metabolism to burn calories at an efficient rate. Finally, studies show that regular eating helps to reduce cravings associated with Pre-Menstrual Syndrome (PMS). I hate to say this but I don't think that I can go 3-4 hours without something. I am a snacker so maybe just some smaller healthy little meals would work too (for those of you who read this blog often-need I say nuts would be a good snack). **REDUCE YOUR INTAKE OF DRINKS THAT ACT AS STIMULANTS-According to some experts, stimulants (ex. sugar, caffeine in tea/coffee, caffeinated soft drinks-all things I of course enjoy)can cause fluctuations in blood sugar, and should be avoided or at least consumed in moderation. Switch to herbal teas, spring water and diluted pure fruit juices. **RECONDITION YOUR BODY NOT TO HAVE THEM AT ALL-Ohmg! Did I really write that???? Not to have them at all???? What would life be like without the occasional pizza, the brownies, cookies, chocolate and of course the highly revered by me Diet Pepsi craving??? This is why I am a health wannabee because the thought of life without those dear yet junky foods sounds sad and lonely (please tell me there are others out there in this world who feel the same so I don't feel so pathetic). Okay, let me say it in a way that sounds more doable to my ears (and those in the health nut wannabe's club ears)-Recondition your body to have them in moderation. How about that? Sounds better, don't you think? Apparently,when it comes to cravings, it is like a wave-the urge goes up, it crests, then it goes back down. The trick, then, is to surf the craving crest and get past it. Do things that distract you from thoughts of eating. If you normally go to the convenience store and get Laffy Taffy and chocolate in the morning then instead pick up the phone and call a friend, go for a walk, read my blog, whatever it takes (within reason). ref-Whole Foods Market March/April issue. I also found this list here by Dr. Colleen Huber that tells you when you crave something (ex-chocolate) then you really need (magnesium) so try (Raw nuts and seeds, legumes, fruits). There are tons of different foods she has listed and what you can replace those cravings with in a healthier way. A lot of my friends do various anti-aging treatments-plastic surgery, botox, expensive creams but I think that I have found an easier, less painful, healthier way to fight those dreaded wrinkles. Snacks! Nutrition is the key to beauty inside and out and the below snacks will not only make you healthier but fight aging as well. 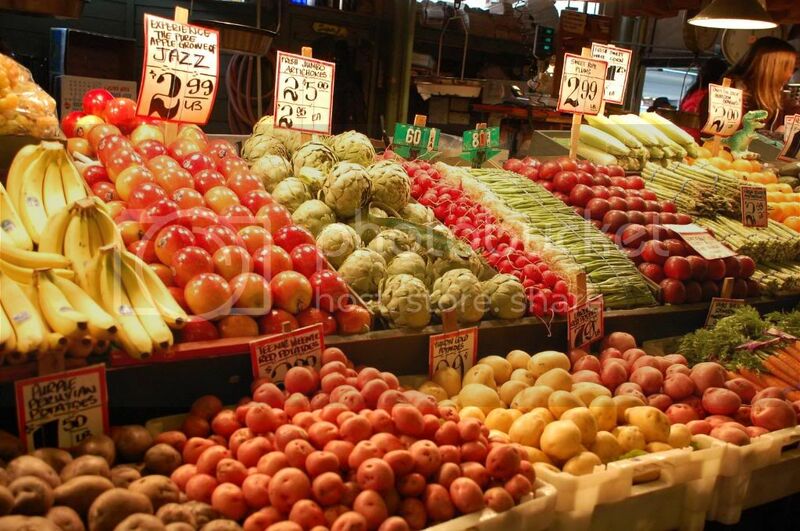 **Watermelon, Sweet Potatoes, Carrots- These foods are rich in Beta Carotene. An eight year study by the French (consisting of 535 adulst ages 20-44) found that, "those with the highest blood levels of beta-carotene retained 30 percent more lung function than those with the lowest—enough to counteract the effects of about four months of aging and exposure to damaging substances in the air, explains Norman H. Edelman, M.D., chief medical officer of the American Lung Association".More here. **Nuts-These are my personal favorite so I am glad to hear that they can help with anti-aging. I live on nuts to keep me feeling full (one of my top weight loss secrets-I don't know why I call it a secret, it's not really but I always like the way the word secret sounds). By adding nuts (Walnuts are especially good-plus they are packed full of omega 3 fatty acids) in our daily nutrition can enhance the functioning of your digestive and immune systems, improve your skin and help control and prevent some types of cancer. Nuts have also been known to lower high levels of cholesterol. **Avocado-Avocados contain glutathione a major antioxidant nutrient.Glutathione regulates immune cells,can help protect against cancer, and help you to detoxify. Avocados also contain L-cysteine which which helps protect your body from the harmful effects of pollution, chemicals, radiation, alcohol, and smoke. L-cysteine may also help boost immunity, protect you from heart disease, and build muscle. It is also useful for combating inflammation and encouraging healthy hair and nail growth. More here. **Apricots-This delightful fruit (one of my favorites) contains Carotenoids which makes it so special. Carotenoids are antioxidants that work to prevent heart disease, protect against certain types of cancers and have been shown to reduce bad cholesterol levels. Inhabitants of the Himalayas and in Chinese medicine apricots are used to assist in detoxifying, preventing dehydration and regenerating body fluids. **Berries-All black and blue berries such as blackberries, blueberries, blackcurrants and black grapes contain phytochemicals known as flavonoids-powerful which help to protect the body against damage caused by free radicals and aging. 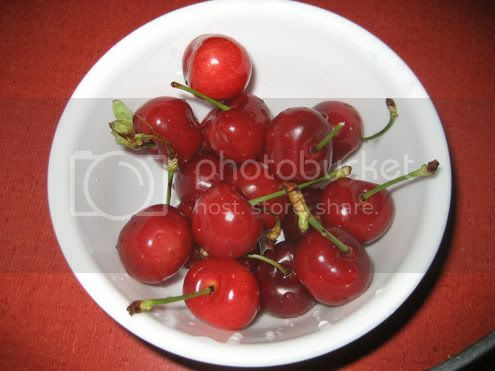 **Cherries- "Contain beneficial anthocyanin compounds, which stimulate your pancreas to produce insulin. Chinese researchers have observed that cherries help keep diabetics healthy. These compounds also protect you against cancer, arthritis, and heart disease because they lower cholesterol"-From Dr.Mao's Secrets Of Longevity. The above snacks are a great way to keep you healthy and looking younger. It is great to snack because eating 5-6 small meals a day can keep you from overeating as you may not feel as hungry. This is something that I love to do so that I don't go overboard and eat too much of what I don't really need (plus then you end up feeling miserable that you ate so much). I have also heard that this keeps your metabolism going, so you're more likely to lose weight. Next time you want a snack why not reach out for one of these! Random Ramblings has a great post called Eternal Youth that talks about how to be as youthful as possible. If you enjoyed this article and are serious about anti-aging then I suggest you pop over and visit Random Ramblings for some great aging information! I wanted to share with you all just a few of my very favorite sites. I feel so lucky to have found these blogs and bloggers and want to spread the fun. I will be back tomorrow with a great post on anti-aging snacks but in the meantime why not visit the below blogs. You will be glad that you did! A Few Of My Favorite Sites! Have fun checking these sites out ! My friend Steffany Barton has been kind enough to write a brilliant article on how our physical health and what we eat affects the spirit. There are two parts to this article and this is part 2. In case you missed the first part please click here-you won't want to miss it! Through my work as a professional psychic medium, I see the human spirit in a unique way. We are so much more than the physical body that often becomes the focus of our identity. And yet, our physical health directly affects the spirit. You can spend a lot of money on candles, chants, charms, courses, and clearing, but I have great news! The best way to improve and increase your intuition does not involve moving to Tibet and giving up all worldly possessions. The secret is easy: eat, drink, and be merry! Another easy and effective way to enhance your ability to receive messages from your intuition is take a sip, have a chug, or guzzle down Earth’s most plentiful resource: water. Water is an extremely effective medium for the conduction of energy. If we go back to the swimming pool, we can think about what happens during a lightning storm. Lifeguards’ whistles begin to frantically blow in attempt to shoo everyone from the water. Energy is easily and quickly transmitted through water. Our intuition, the spirits of loved ones who have left their physical bodies, angels, and animal spirits are forms of energy. Physical death does not stop our spirit. We know this is true because the laws of physics teach energy is neither created nor destroyed; it can only change its form. Our intuition is energy, and when we are well hydrated, we become a vibrant conductor for spiritual energy. In fact, we are designed to receive spiritual energy. What is the most plentiful substance in our body? Water. So by choosing non caffeinated beverages we enhance what our innate abilities. I became privy to this information early in my professional career. As a budding medium, I wanted to give myself every advantage in receiving information. I decided that if some water is good, then a lot of water must great. One day I guzzled a 32 ounce glass of icy cold water before starting a session. About twenty minutes into the conversation, I began to receive some pretty strong messages from my distended bladder, making it difficult to concentrate. I learned that moderation is the key. Listen to your body’s cues and drink when you have the urge. Truthfully, though, I have moments when nothing but a diet Coke will due. And I’m no stranger to the Sonic Route 44 Diet Dr. Pepper with vanilla and cherry. My recreational soda habit doesn’t undermine my intuition, but again, moderation is the key. Finally, and most importantly, find your bliss and make merry. Nothing opens our mind and heart to our intuition as beautifully as laughter and joy. When we allow ourselves to be enveloped in a healthy lifestyle, our mind, body, and spirit come into union. The veil or mystery that shrouds our intuition is lifted as we let go of the past and embrace our true essence. Messages from the spirit world become clear and direct as we accept that we are part the Divine. Take care and be happy. You have my unconditional support in achieving your best. So eat, drink, and be merry! Steffany offers readings over the phone and I can personally vouch for her accuracy and authenticity. I was skeptical at first of visiting a psychic medium (not about there being authentic psychic mediums but rather which ones were honest and real and not going to be fake)but am no longer after my personal readings with her. One of the best things that has ever happened to me is having met Steffany and the peace that my readings with her have brought to my life. Thank you Steffany!!!! I admit that anytime I hear about somebody losing weight my ears prick up and I am instantly intrigued. I want to know all the details (I pretty much like to know all the details about anybody whose willing to spill the beans on just about anything), the who, the what, how much-you name it. So, when a friend of mine recently told me about how she focused on eating water rich foods along with her exercising to lose weight , I needed to know more (of course). I have always heard that a successful and healthy diet includes drinking lots of water and that water fills you up so that you don't feel hungry. What I never realized is that eating water rich foods will make you feel even more full. Apparently, we do not feel full from calories but from the weight of what we put in our bodies. For example, if you had one pound of raspberries and one pound of chocolate (my two favorite foods) both would make you feel full because of the weight, but the raspberries would have far fewer calories than the chocolate (I kind of wish it was the other way around). Another important factor is that water does not only have weight, it helps food stick around longer. When water is bound to food, it slows down the absorption and gives a longer lasting feeling of fullness in your belly. If you like to eat bigger portions then you definitely want to focus on water rich foods (yogurt, fruit, vegetables, soup) and not dense foods (crackers, pretzels, bread, cheese) so that you can get that content full filling without all the calories. **Broccoli-Approximately 92% water and is known to help prevent cataracts and assists in fighting birth defects. 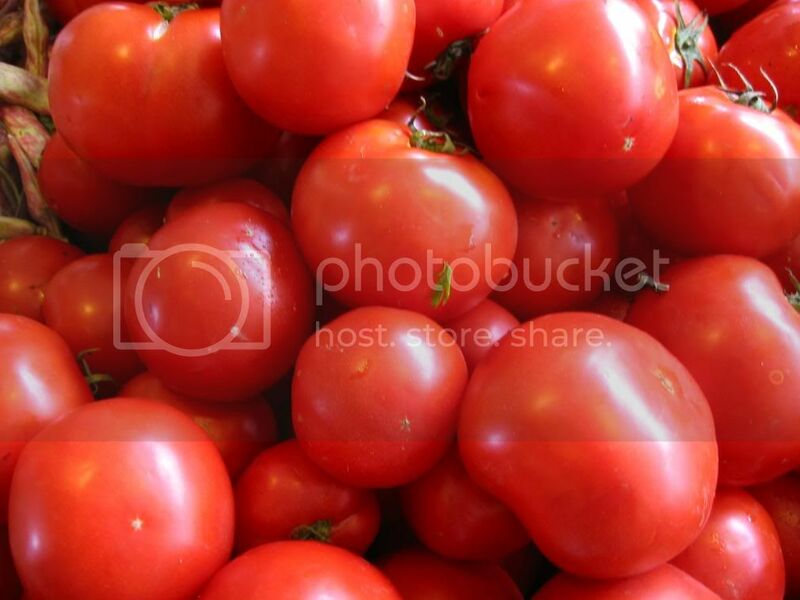 **Tomato –Approximately 93% water and helps prevent prostate cancer and promotes bone health. **Cucumber –Approximately 95% water and is known to soothe skin irritations and reduces skin swelling.Also has been known to help lower blood pressure. **Watermelon –Approximately 92% water. Reduces the risk of heart disease and helps alleviate the symptoms of osteoarthritis and rheumatoid arthritis. **Grapefruit – Approximately 88% water, grapefruit is known to boost liver enzymes and helps repair DNA. Next time you go to grab the pretzels maybe you could grab some strawberries instead. You get more health benefits and you can feel just as full as the pretzels without all the calories. Salads are great too because of all the water in lettuce. Throw some cucumbers and tomatoes on top and you will really be giving yourself a healthy boost, working towards weight loss, feel full and be very proud of yourself for being so good. I am so, so excited today!!!! Regina from Regina's Family Seasons invited me to do a guest post and I feel on top of the world!! This is one of my very favorite sites that I visit regularly so this is just the nicest thing. Please visit Regina's Family Seasons and check out her amazing site and my guest post. Wow! I feel like I won the Pulitzer (maybe I need to get a life). A SPOONFUL OF OLIVE OIL HELPS THE SPAGHETTI GO DOWN! 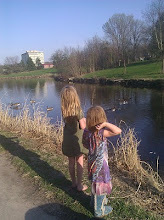 Here I go recycling again but back when I was a baby blogger and nobody read me I wrote some of my very favorite posts. This is one of my favorite tips so I wanted to share! I once read somewhere where Sophia Loren said that she owed everything to spaghetti or something to that effect. I took it to mean that she was healthy and thin because of spaghetti but who knows. Maybe she never said it and I just thought she said it so I could eat lots of spaghetti and not feel guilty about it. Now, I never thought of spaghetti as being unhealthy actually, I always thought spaghetti was one of the healthiest things I could eat (remember that I am a health nut wannabee with good reason). I am not saying that spaghetti is unhealthy necessarily but here is how to tell if your spaghetti is good for you or not (don't worry if you like the unhealthy spaghetti like I do, I have a damage control secret to share with you). Healthy spaghetti-If it’s whole grain al dente (firm) pasta with unsweetened tomato sauce, it's healthy (still need to watch your sugar/starch intake-so moderation is the key). Whole grain al dente pasta is much higher in fiber, vitamins, minerals and essential fatty acids. It's slowly absorbed into the bloodstream and doesn’t cause a blood sugar spike. More here. Let's say that you love the unhealthy pasta like me and for those days when you cannot have the wheat healthy pasta for whatever reason like you don't want to or the kids are threatening you if you make that "one" pasta again that not even the wild opossum that comes to eat cat food each night would eat -I have a damage control tip for you! I learned this from the incredible nutritionist Dr. Heidi Dulay. She said that if you had one teaspoon of extra virgin olive oil BEFORE you ate your pasta it would help by putting the good fats in from the olive oil and not allowing the bad fats in from the evil unhealthy but much loved spaghetti. I gave it a try and as a side benefit the extra virgin olive oil is great for your skin. By the way, I found a post at The Fitness Philosopher blog that really helped me get a better grip on nutrition- you might want to check it out. Foolproof Nutrition For Function and Fat Loss. **Stand Up To Slim Down-This is an easy way to burn twice as many calories! In a study at the University Of Missouri-Columbia, researchers reviewed the differences between sitting and standing and found that standing doubles your metabolic rate. Apparently the reason for this is because standing requires more strength to hold your body up. It also helps muscles siphon fat out of the blood stream. See, what I mean! This is easy! We can do this together! I wonder if I stand up and eat chocolate for awhile if that would make a difference-no, probably not. Me and that cursed chocolate! **Fill Up On Not So Forbidden Fruit- Instead of eating a blueberry pie, eat fresh blueberries (they are packed full of antioxidants and have far less calories than a sugary pie). Instead of a 700 calorie rasberry tartlet, opt for 6 cups of rasberries (again packed with antioxidants) that are 64 calories each and add some whipped cream (only 13 calories per teaspoon).MMMMMM! 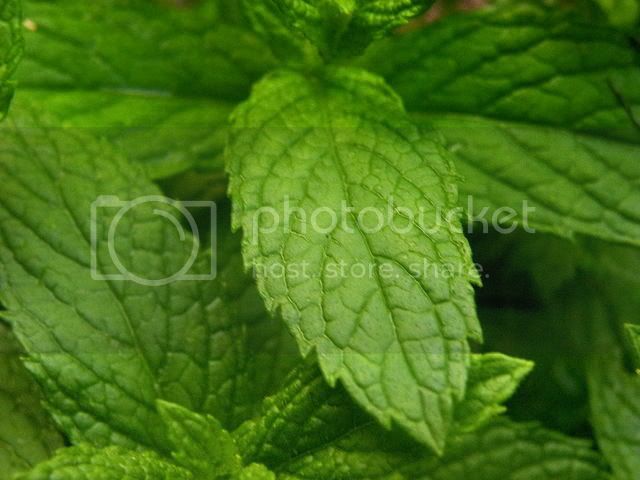 I also like to add Stevia, the all natural sweetner that I use in my tea. I sprinkle it on my berries to sweeten them and there are no calories! **Miracle Mint-I did an entire post about this because I was so excited at how easy it is!!! According to a study at Wheeling Jesuit University in West Virginia, researchers followed 27 adults for two 5 day periods and found that those who wafted/sniffed peppermint oil under their nose every two hours ate almost 350 fewer calories. The smell may increase our level of alertness so you are less likely to snack because you are tired. ** Try Ordering Your Groceries Online-I will be the first to admit that the grocery store is a place filled with temptations. If you are like me you may want to try ordering your groceries online. According to a multi-university study, researchers assigned 28 people to either a standard weight-loss program or a program with grocery delivery. After eight weeks, online buyers had fewer fattening products and less total food in their cupboard. It is easier to stick to your grocery list online than grabbing those cookies and brownies on sale at the store. Aren't these terrific!! Easy and simple tips that can make a big difference on your weight loss journey. I am always looking for ways to stay healthy naturally and for foods that promote this. I recently came across this list of Super Foods that are not your general run of the mill foods and are probably not mainstays in your diet but that really pack a punch when it comes to antioxidants and essential vitamins as well as having cancer-fighting properties and immune-boosting power. 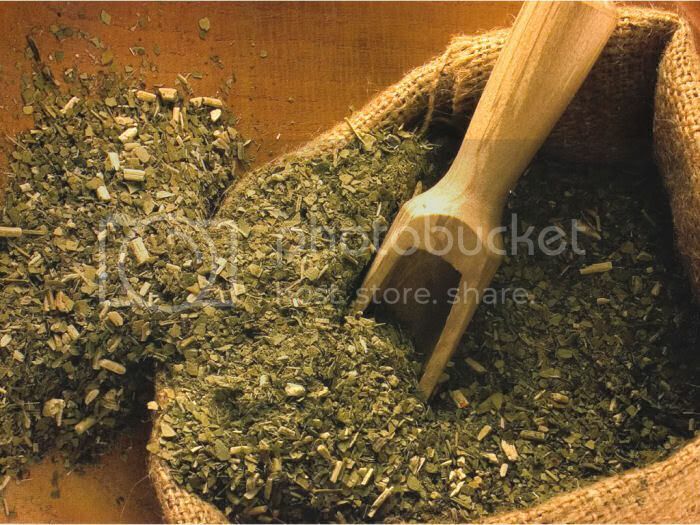 **Yerba Mate- A South American herbal tea that is more popular in than coffee in parts of Argentina and Brazil. It is higher in heart-healthy anti-oxidants than both green tea and red wine according to a 2005 study by Touro University in Vallejo, Calif. Anecdotal reports tout it as a weight-loss aid because it apparently makes people feel full more quickly while eating. Yerba Mate tastes like green tea, but with a grassy, slightly bitter flavor so you could add some Stevia (all natural sweetner) or honey. Sounds good to me and if it helps with heart healthy anti-oxidants and to lose weight you can't go wrong. **Sour Cherries-These are not the sweet type that you buy to eat and spit out the pits at each other (that is what we did as kids-pit spitting contests). These are the small, sour ones grown for jams, baking and freezing. Sour cherries are a natural source of the anti -inflammatory compounds found in ibuprofen. Just 12 ounces of Montmorency cherry juice per day can help reduce muscle pain caused by exercise, according to a 2006 study conducted by the University of Vermont. The lead researcher from this study recommends people to drink the cherry juice before exercising. The antioxidant pigments in red, blue and purple foods called Anthocyanins are credited with sour cherries' anti-inflammatory and pain relieving properties. As far back as the 1950's sour cherries have been promoted as a home remedy for gout, a form of arthritis although no research supports this. Now if you like tart foods (I do) you can eat the sour Montmorency cherries on their own or you can drink the juice to receive the same benefits. Add fresh or frozen sour cherries to smoothies, pancakes, cakes, breads, salads, anywher e you want to throw them in for their great health benefits. 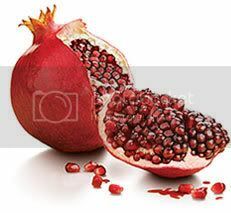 **Pomegranate-There have been various studies on the benefits of Pomegranate that show the health benefits. A 2006 study conducted at the University of California, Los Angeles, found that consuming 8 ounces of antioxidant-rich pomegrante juice a day can slow down the spread of prostate cancer. Other studies have shown that Pomegranate lowers blood pressure and is beneficial in preventing osteoarthitis and heart disease. Great way to get Pomegranate is to drink the juice straight. **Sesame- Sesame seeds contain high amounts of lignans-this is the same thing fou nd in flaxseeds that may help women balance hormones. It is has also been shown that eating just 2 tablespoons of toasted sesame seeds a day can lower cholesterol levels and may reduce the risk of heart attack (study in Nutrition research 2005). I personally love sesame seeds and could just eat and eat them. I probably should eat them more if they help with hormones as I can be awfully cranky once in awhile. 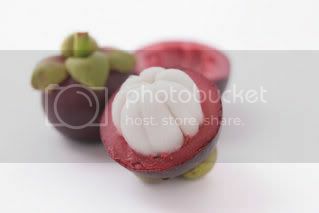 **Mangosteen- This fruit is found in Southeast Asia and South America and has a floral flavor and texture similar to a plum. Unfortunately, due to the fact that it can harbor pests the U.s. Department of Agriculture prohibits importation of it. In March 2006 a study conducted at Ohio State University reviewed the high levels of xanthones, antioxidant compounds that fight inflammation. Mangosteen products have high levels of antioxidants. It has also been said that drinking a small amount of mangosteen liquid will have a positive effect in cancer prevention. If you would like to try mangosteen you can purchase the juice made from the whole fruit (the rind contains most of the benefits). I have tried the pomegranate juice, sesame seeds and the sour cherries but have yet to try mangosteen and Yerba mate. It is so exciting to find that we can possibly prevent so many diseases by just eating a few healthy foods!!! I think I will go and get some yerba mate today. How about you? Information from this article came from the Whole Foods March/April 2008 magazine. I am so excited to share this post with you!!! My good friend Steffany Barton, a professional psychic medium, was generous enough to write an article on how what we eat affects our spirit in so many ways. I met Steffany several years ago when our daughters took some art and play classes together. I have been fortunate enough to have been able to take a few of her classes and had a couple readings myself (her classes always fill up quickly and she has a waiting list for her readings). I was amazed at what I have learned and the peace that she has helped me find in my life. Steffany has a gift that she willingly shares and knowledge that can help all of us find peace and happiness in our day to day lives. Read on and you will be amazed at what nutrition has to do with your spirit!! So first, let’s look at the effect of eating on our intuition. Although the connection might not seem obvious, there is a direct relationship between food and our divine guidance. Think about it, some people call intuition a “gut feeling.” If your gut is bogged down in heavily processed, highly refined foods, it becomes difficult for communication between your body and spirit to occur. Energy that could be used for the transmission of information between your higher self and your body is being chewed up in the process of digestion. My mom used to tell me not to swim right after eating. She was right; I tried it once and I felt terrible. After eating, blood infuses the digestive tract to aid in the breakdown and absorption of nutrients. Any cardiovascular or muscular exertion will shunt blood from the gut causing the digestion to slow. The result of this diversion of blood away from the abdominal is cramping, bloating, and sometimes constipation. I would like to offer a spiritual guideline reminiscent of that wisdom: never try to discern intuitive information after a big meal. A few months ago I decided that the chocolate animal cookies my daughters were eating looked pretty tasty. The cookies were, in fact, very tasty, and so I dove into the bag. Three dozen hippos, elephants, and tigers later I decided to stop eating before the gorillas were placed on the endangered species list. I looked at the clock and realized I had a session with a client in ten short minutes. Uuuggghhh. Before I begin any intuitive work, I spend a few quiet moments clearing my mind, praying for guidance, and receiving information. As I cleared away the mental chatter, I was immediately aware of a different type of distraction; my stomach hurt. I noticed how full I felt and how distended my belly had become. Suddenly, talking to angels and spirits on the other side seemed like a tall order for my aching body. I wanted to lie down. I completed the session, but I trudged through the conversation. Part of the energy I use to discern spirits had been shunted to my gut, thereby leaving less of my essence open to receiving intuitive guidance. My body had to expend a lot of its force to correct and compensate for my poor dietary choice. It was a double whammy: I felt crummy and my intuition was hampered. Choosing healthy foods allows the body to run with minimal effort, freeing more of our spirit essence to be used by our higher senses. The more life sustaining a food is, the closer to its original source (ie whole foods), the more readily the body accepts and utilizes the energy. Less effort for the body’s metabolic and digestive processes means more fuel for the heart and spirit to receive and process intuitive information. It’s not to say that we have to eat all healthy all the time. Yet, a healthy eating pattern is a beneficial on the levels of mind, body, and spirit. Besides, has your intuition ever guided you to eat a bucket of fried chicken with fries and a coke? Steffany is going to be doing a follow up to this post so please check back. Also, if you would like to visit Steffany's website go here. 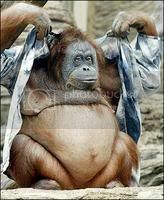 Nobody that I know loves their love handles. They are one of those things that are on your list to get rid of each New Year but most of the time seem to stick around. Being a health nut wannabe I never could figure out exactly why those pesky love handles would not just leave and go love someone else. I ran across this brilliant article by Kim Klaver a business woman extraordinaire and health nut herself and decided to share it with you. 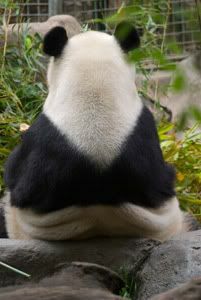 I think you will be as surprised as I was to discover the truth behind those rude love handles. This Master's program nutrition course is about different dietary approaches. Guess what kinds of foods the body uses for these three things? STORAGE BINS: Carbs, sugars (sweets) and fat. (Not the good fat you eat in say, butter. Stored fat is the sort the body makes from the excess carbs and sweets we feed it). Yikes. Have you checked your storage bins lately? The love handles, the paunches, bulges and other lumpy places? 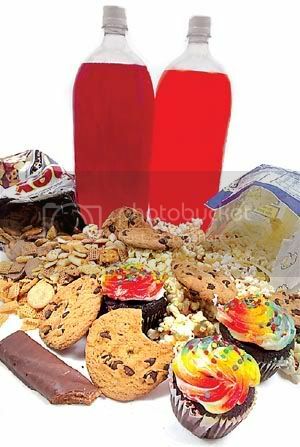 Carbs, sugars or sweets: bread, rice, pasta, chips and crackers, cookies, cereal like corn flakes, corn, muffins, pizza crust, and all sweets, especially the big sweet caffeine drinks. (I love, love caffeine drinks-some things just are not fair). Maybe a better choice would be organic cheese or nuts. For the nutritionally and technically interested, here's Dr. Schwarzbein's table. The Schwarzbein Principle II.2002 p.17. I found this to be a fascinating article if not a bit over my head with Dr. Schwarzbein's table (sorry but I am still a health nut wannabe and tables were never my thing in school-I was more concerned with who was dating who,wearing what, etc-you know all the important things that get you so far in life). The basic idea is that you really need to watch what you snack on and eat overall if you want to get rid of those love handles. To read more by Kim Klaver go here. This ties in to the The Most Asked Questions About Carbohydrates post that Christopher Warden, a New York City fitness professional and my online personal trainer recently guest posted on my blog . He is going to be doing another guest post in the next week or two to follow up with part two of the carbohydrate questions and answers so you will want to keep your eyes open for that. I am finding more and more that nutrition (it only took me 39 years) is a big part of how my body is shaped and looks. Information is the key because if we have that we can make the changes we need for the body we want! !